Bali Sea Walker Uluwatu Tour offer a great full day combination tour . 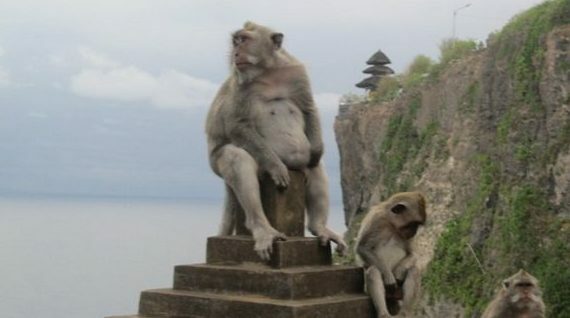 A combination trip of Bali Marine tour and best sightseeing in the south of Bali . Bali Sea Walker Uluwatu Tour will start at 08 : 30 from the Hotel and we will drive you to Tanjung Benua . The best place for Bali Marine and Water Sport experience . Here we will invite you to try a challenging activities such as Bali Sea Walker , Parasailing and Jet Ski . You may also try some additional activity such as Banana Boat , visiting turtle island , flying fish and others on your own personal extra cost . After lunch we will drive you to visit some nice beach such as Green Bowl beach also Padang – Padang beach as a killing time before sunset at Uluwatu temple . 08 : 30 Hotel pick up . 09 : 30 – 12 : 00 Water Sport experience . 12 : 30 – 13 : 30 Lunch with Indonesian selected food . 14 : 00 – 15 : 00 Green Bowl beach . 15 : 45 – 16 : 45 Blue point beach . 17 : 00 – 17 : 45 Uluwatu Temple . 18 : 00 – 19 : 00 Kecak and fire dance show . 20 : 00 Arrive back to the hotel . 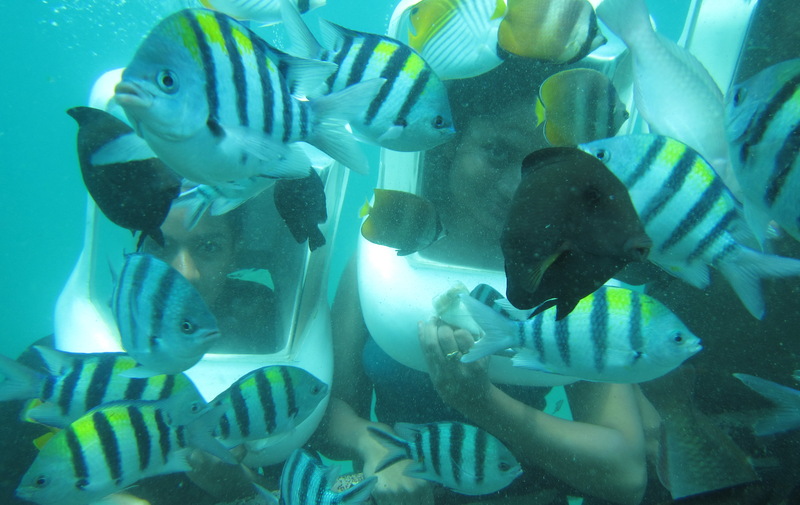 an interesting activities that bring you to walk at the bottom of the sea to see amazing sea life . No dive tank , but we will equip you a special design of sea walker helmet . The activities on the sea bottom approximately around 30 minutes . one round parasailing activities , the speed boat will pull the parachute one time around . Before start they will brief you what to do , the tools that you need to use while you are on the air . Driving a marine sport vehicle , approximately 750 cc motor water ski around Benua bay . You will accompany by professional Jet ski guide . The program above isn’t the exact planing that you have to follow . But you may modify the plan as you like and also add some other sites along the way that interest you to visit . Beside that you may also select some other Water Sport Activity in additional with your own charge . Kecak and fire dance ticket .